The annual Run Out marathon is back for the 7th year in a row in 2 of the runner's favourite locations, Kuantan & Kuala Lumpur. 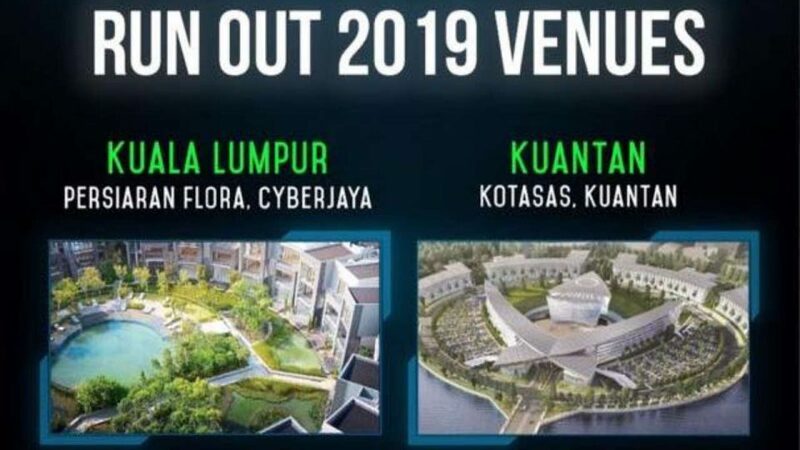 Run Out 2019 will be coming back with its culturally rich nature, beautiful scenery and futuristic twist; allowing the runners to experience the panoramic scenery in Kuantan city on the 28th April 2019 followed by a running experience in the big city of lights Kuala Lumpur on the 16th June 2019. Runners will get to have a unique experience of running the marathon series in both cities and earning the newly designed unique joint medal by collecting half the medal from each city and eventually showing off their achievement by conjoining them at the end of their journey.